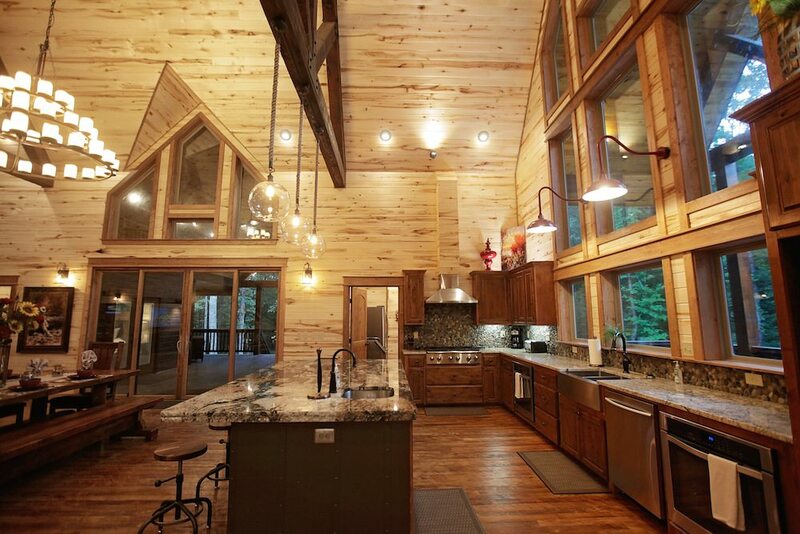 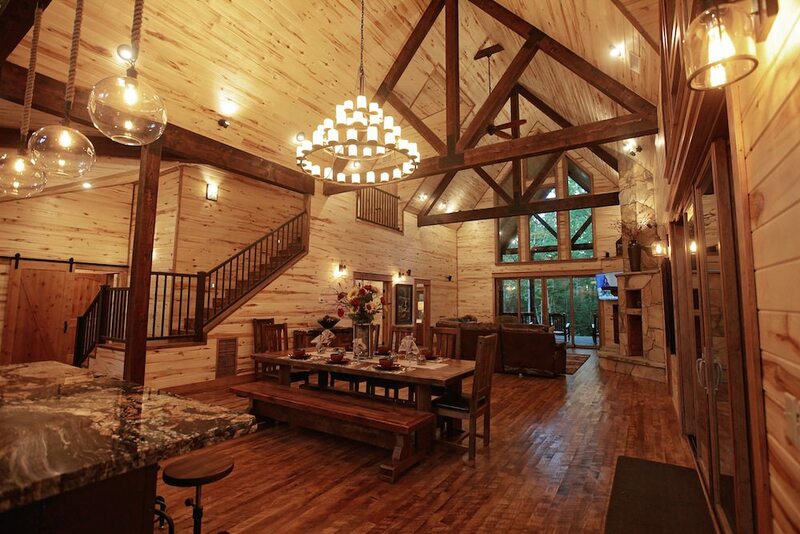 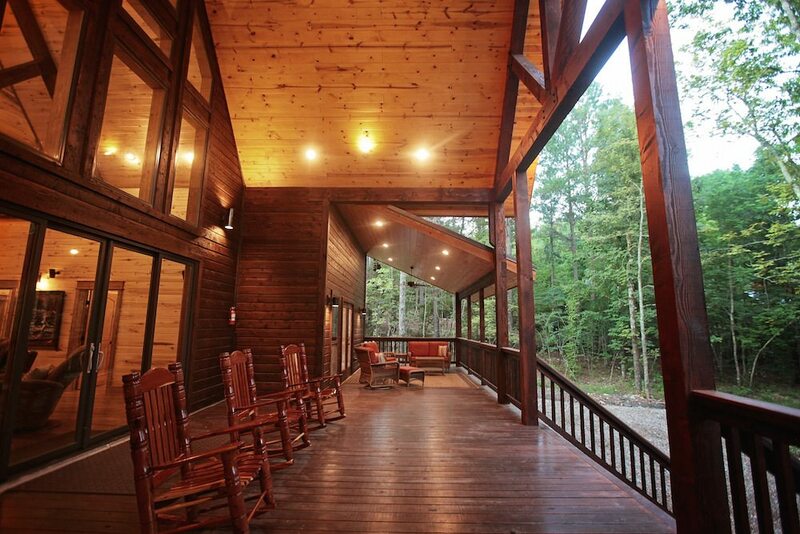 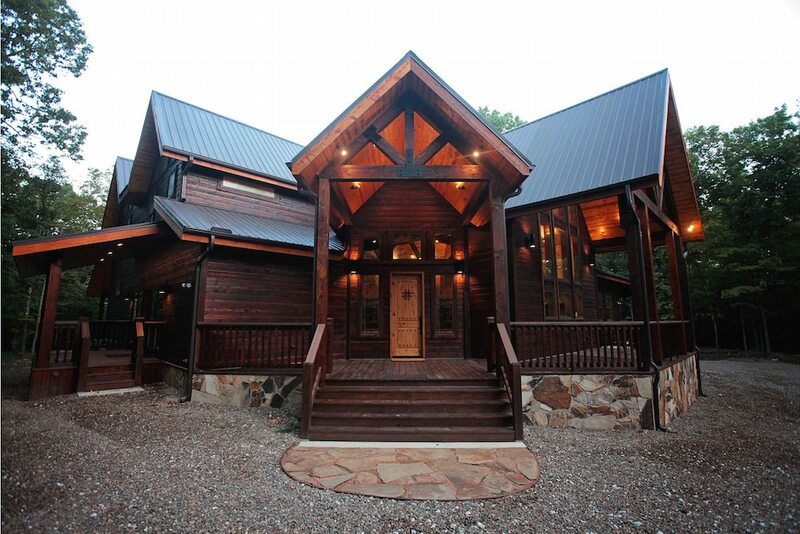 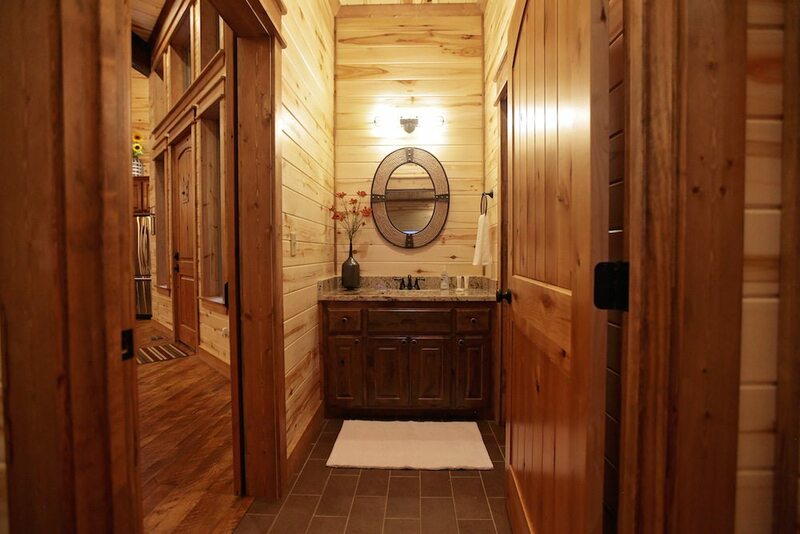 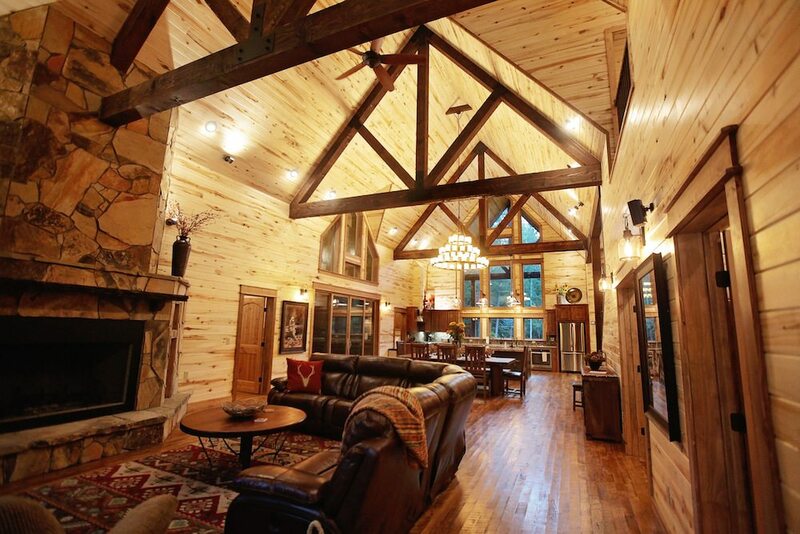 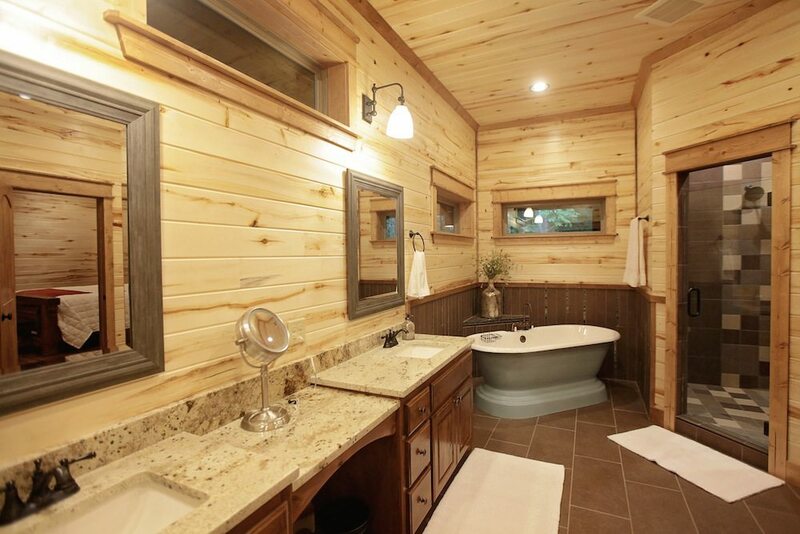 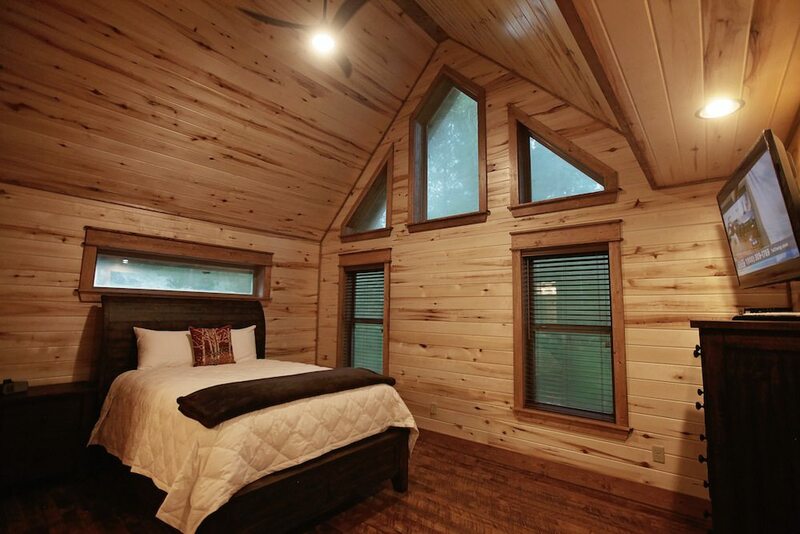 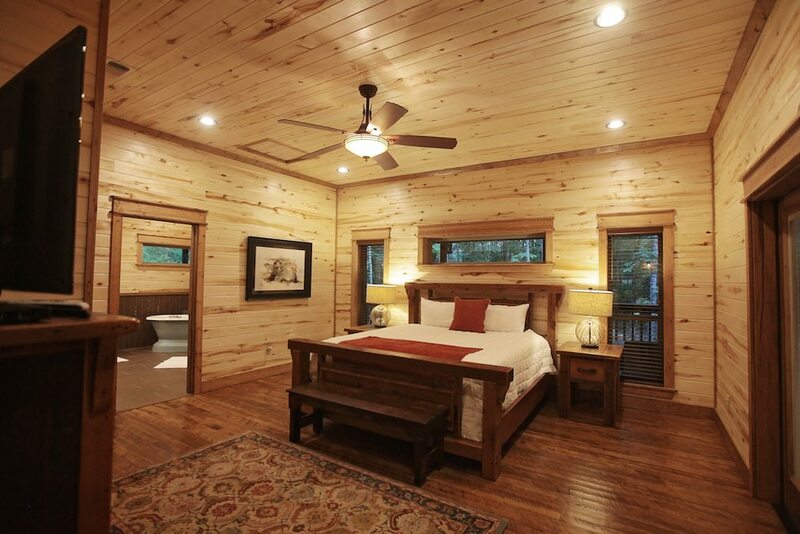 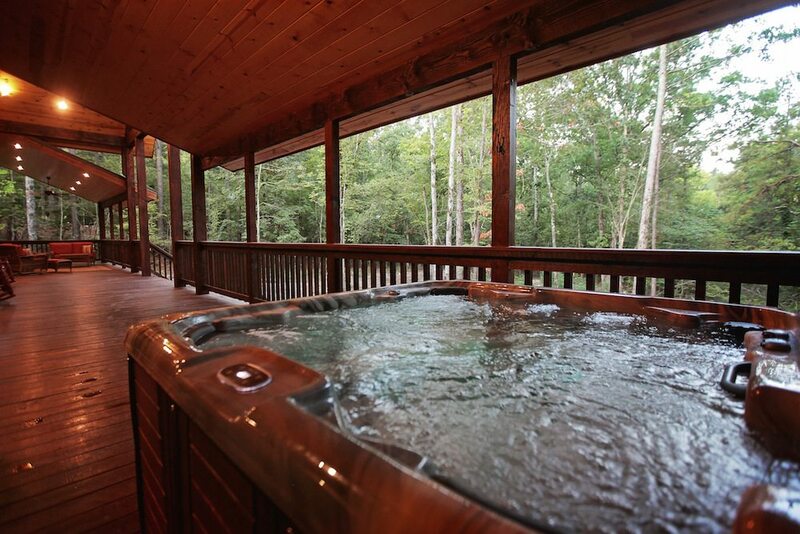 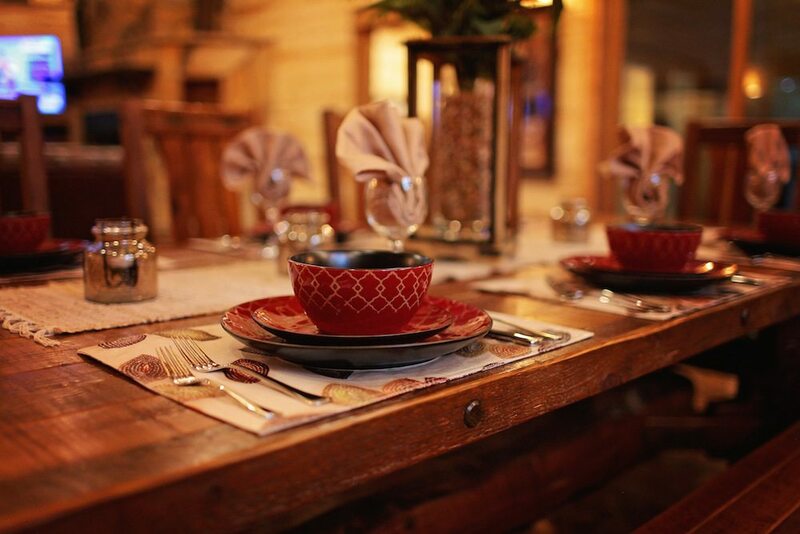 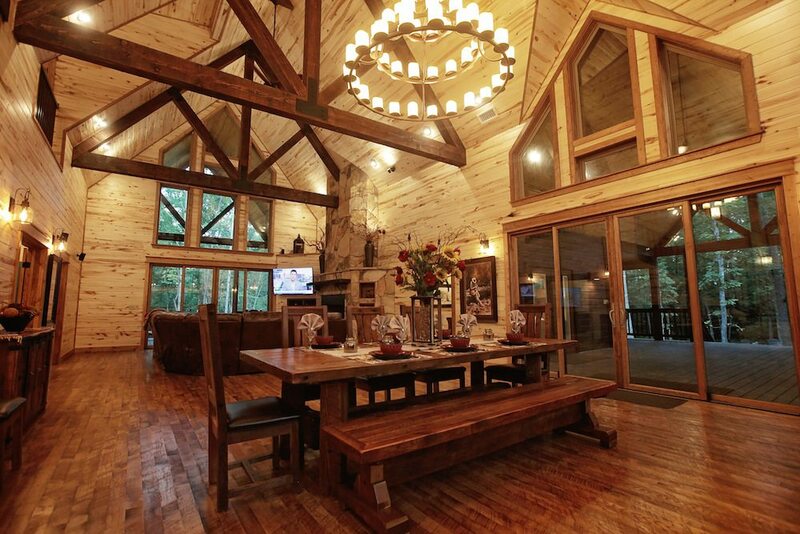 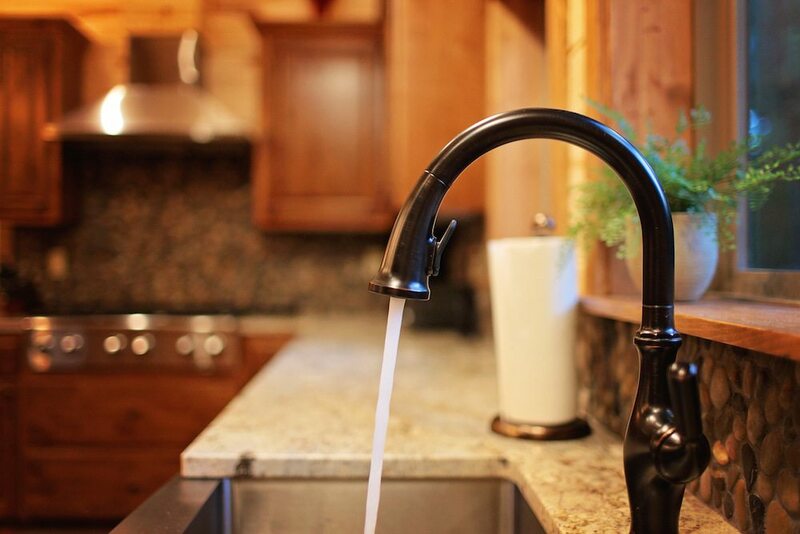 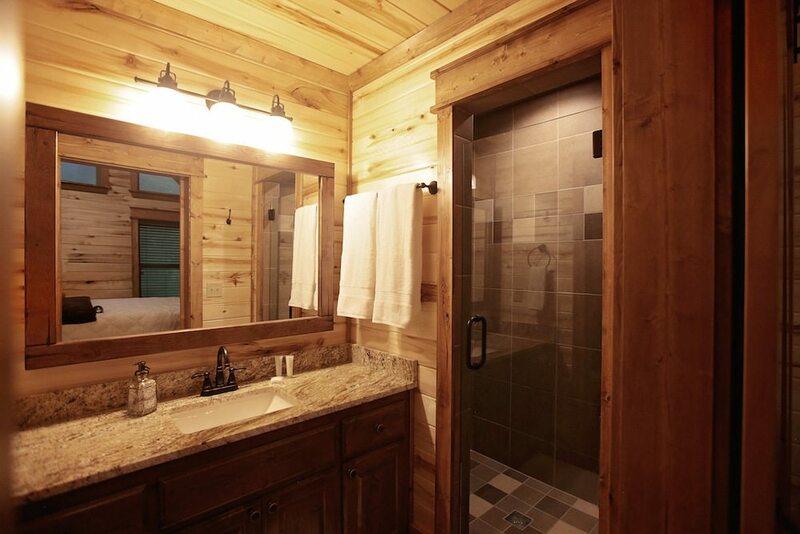 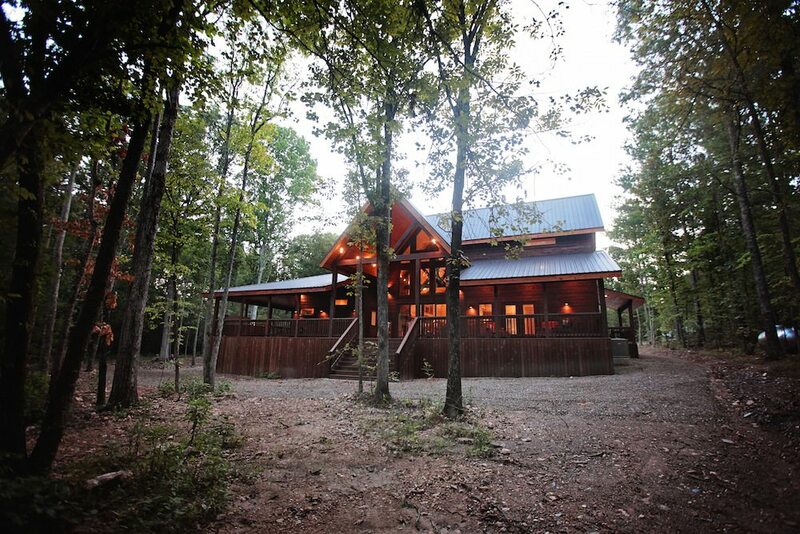 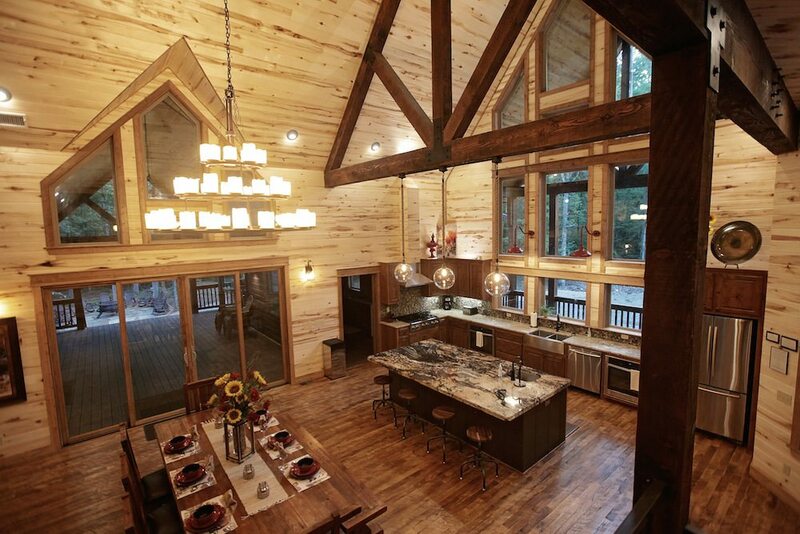 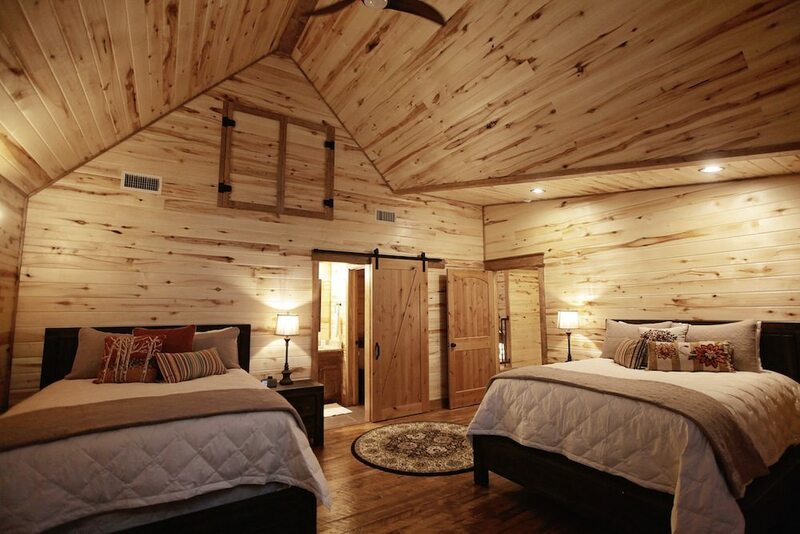 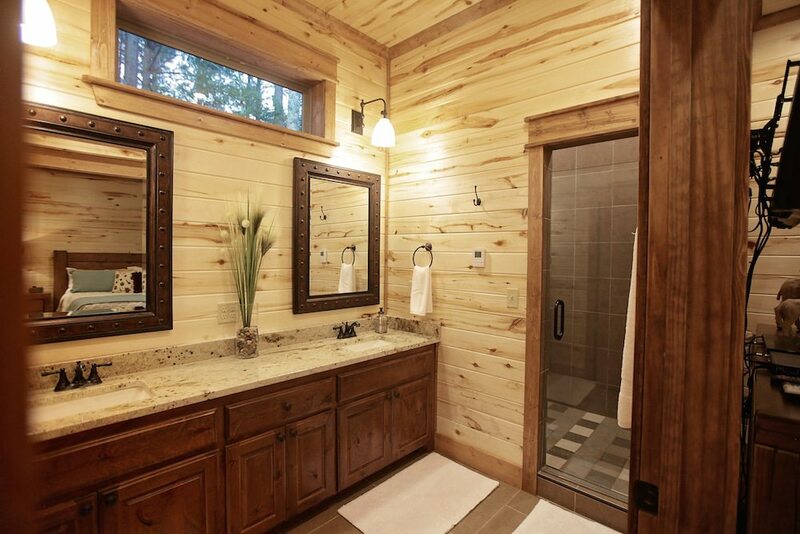 This wide open Lodge design features thirty two foot ceilings with heavy timber truss work. 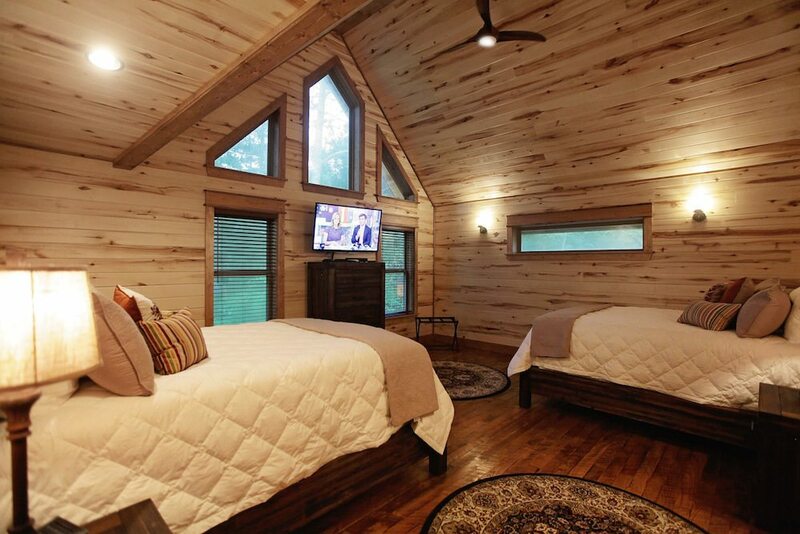 Two double wide sliding glass door systems create a seemingly seamless outdoor/ indoor experience. 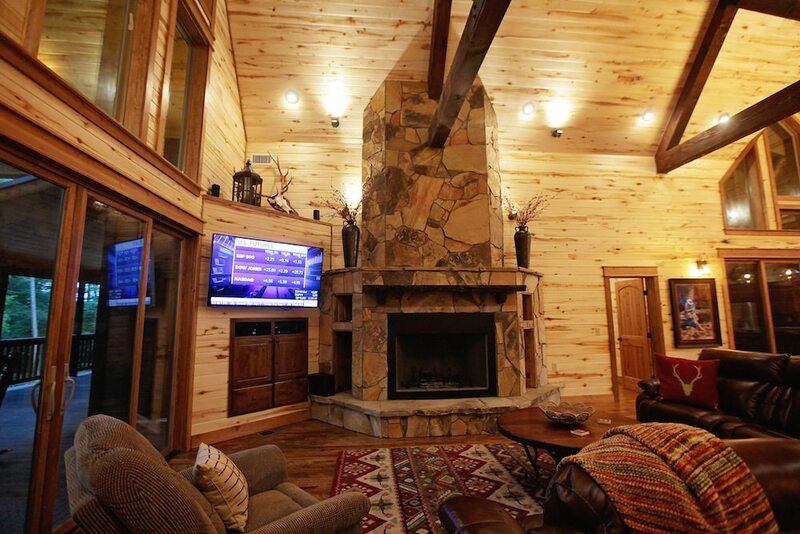 The floor to ceiling rock fireplace with large wood burning fireplace is surrounded by an L-shaped luxury coach with two powered recliners. 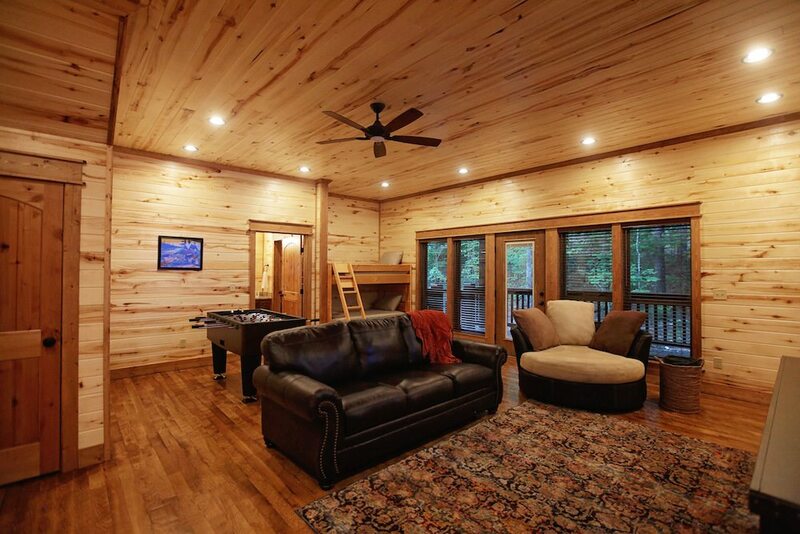 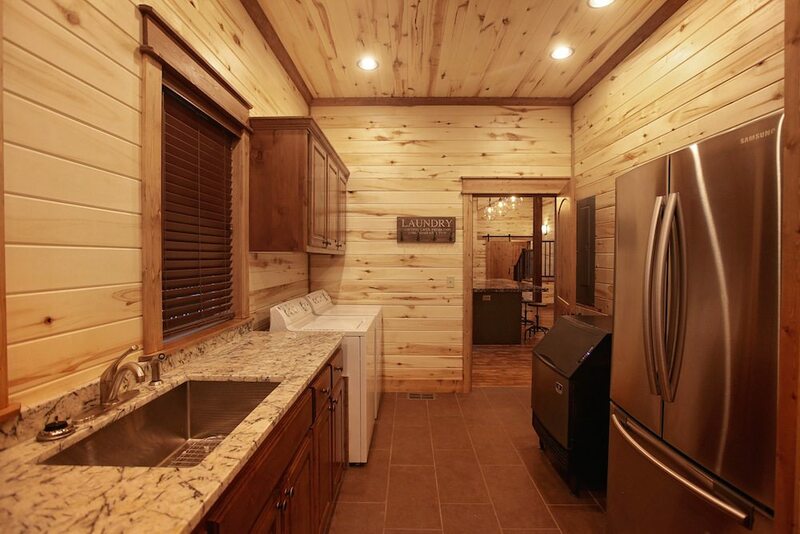 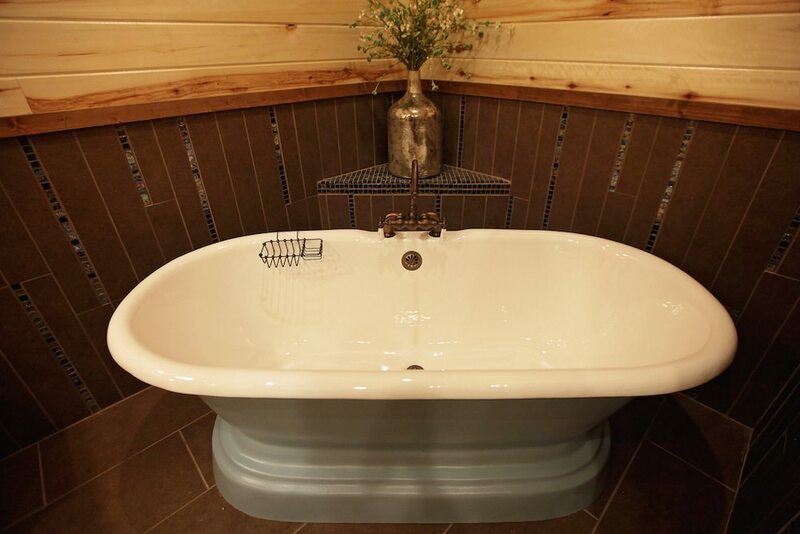 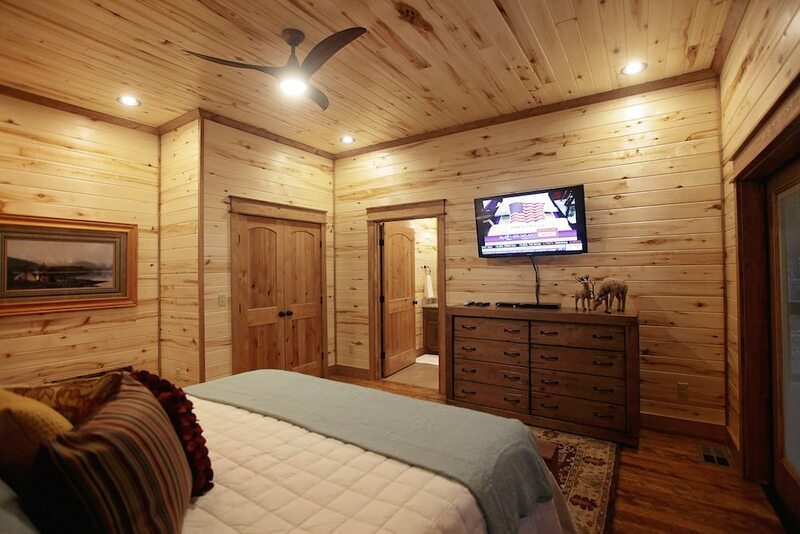 The perfect cabin environment for viewing those winter games. 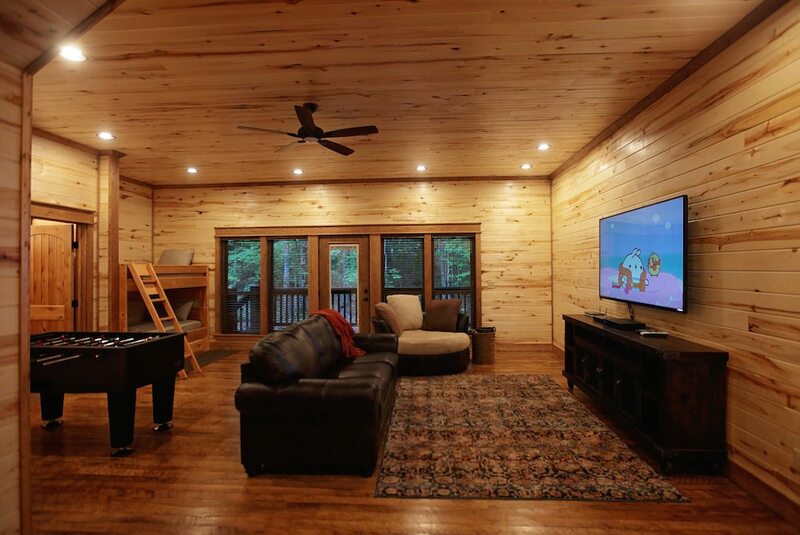 You will love the 65” HD TV with Bose sound system. 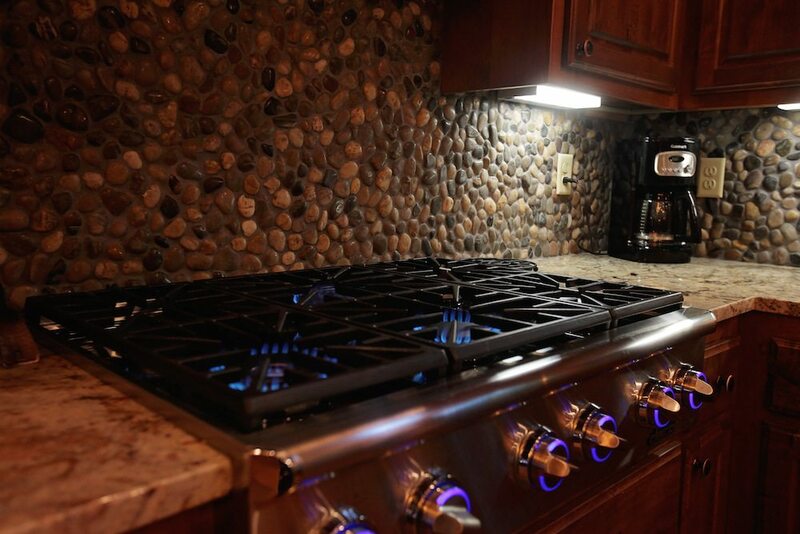 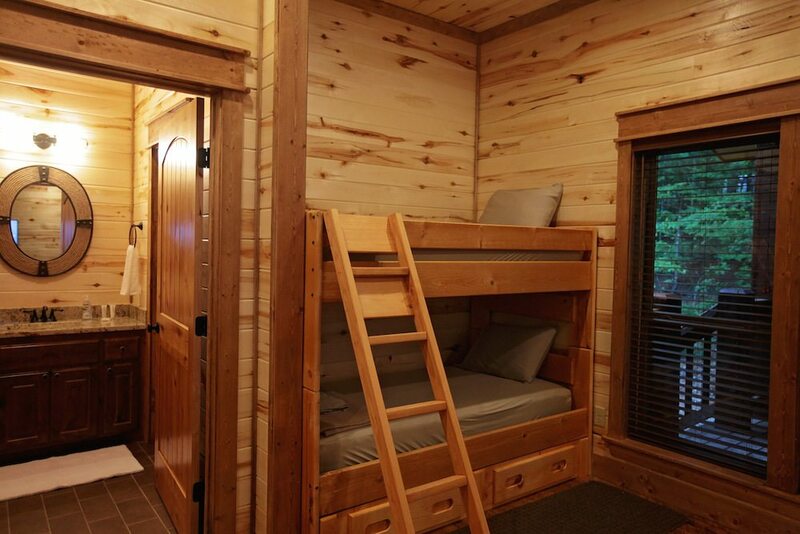 The game room features a set of bunk beds, a Foosball table, a 70” Ultra HD TV and is fully insulated and can be closed off from the family room. 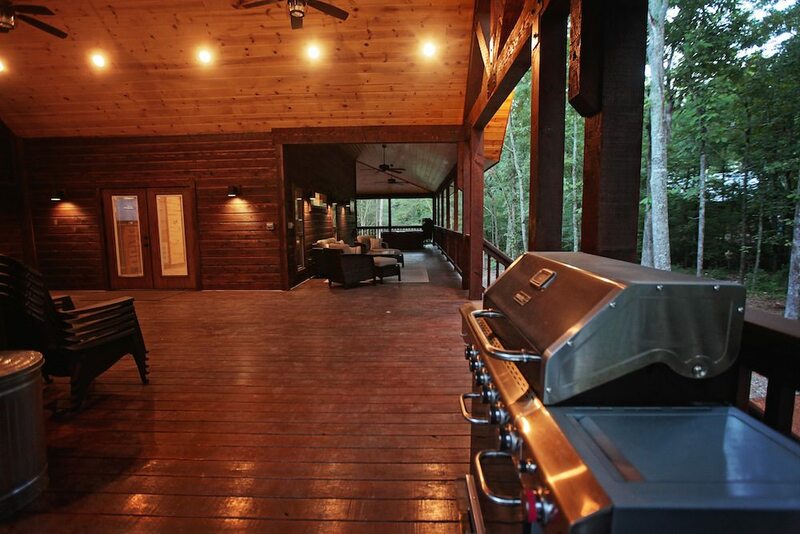 The covered decks with comfortable seating and rocking areas make outdoor living and nature watching absolutely exceptional. 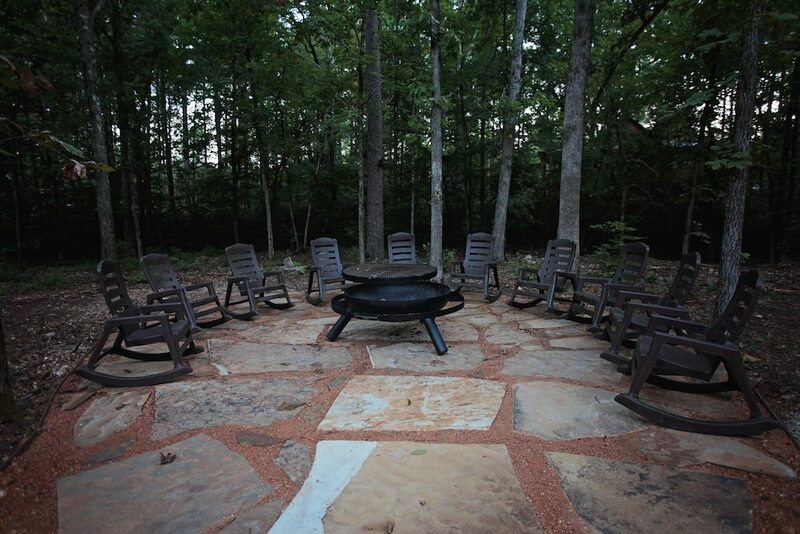 The large fire pit is a central gathering place for end of day relaxation. 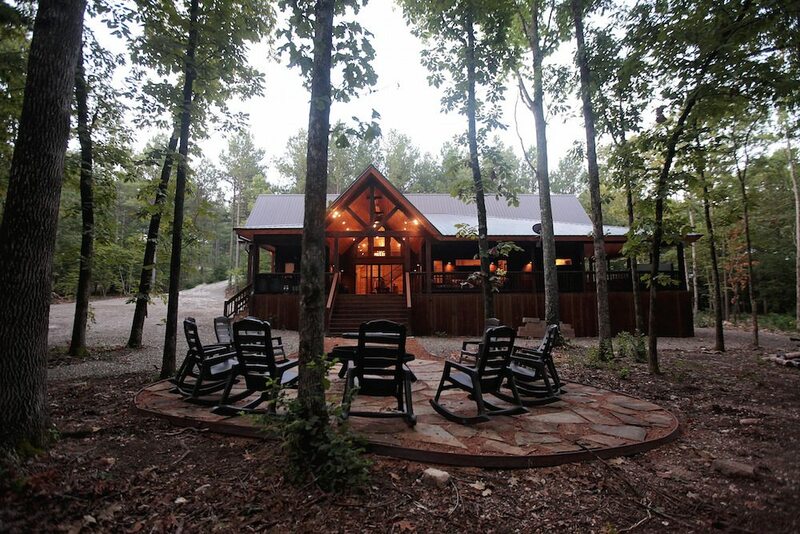 Plenty of parking and turnaround area for boat with paved drive.